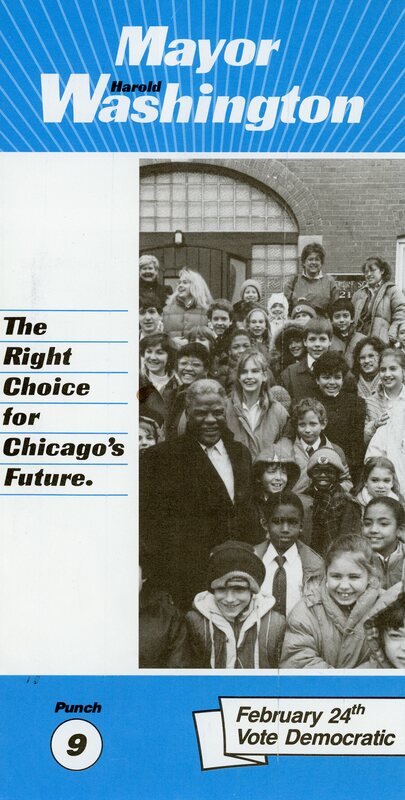 Harold Washington served as mayor of Chicago from 1983 to 1987. He ended the political machine and paved a way for grassroot leaders to succeed. Washington set forth an example of transparency in city government and improved the Chicago’s infrastructure to help all of the city’s inhabitants. He was a democratic power who passed away early on in his second term, yet his legacy still stands. Harold Washington was the first African American Major of Chicago, and was the first major to be elected without the use of the machine. Edward Vrdolyak also known as Fast Eddie was known for backroom dealing. This button symbolized Washington’s resistance to the Democratic Machine. Harold Washington was known to put a halt to corruption. The taxpayers obtained their money’s worth as Washington used taxes to lessen crime.